Although the affluent community of Potomac is located just 13 miles from Washington, D.C., it retains a unique personality that puts it well above its neighbors. AS a bedroom community for the nearby nation’s capital, Potomac is home to satisfied residents who are proud of where they live and know that their community is one of the most desirable in the area. Home buyers looking to live on the Maryland side of the Potomac River will be pleased to find that there are plenty of homes for sale here. Thanks to the suburbanization in the 1950s, Potomac grew rapidly and attracted residential and commercial growth that still sustains it today. From historic homes reminiscent of the community’s early farming days to modern suburban homes near shops and schools, Potomac is a home buyer’s real estate dream come true. Located just a half hour away from DC, Potomac MD has a reputation for being one of the best places to live in the country. 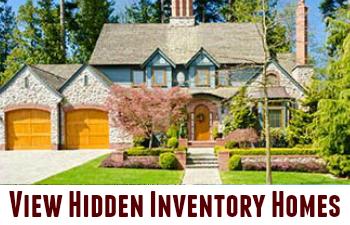 You can this fact reflected by the demand in local real estate and in the attitudes of everyone familiar with the area. 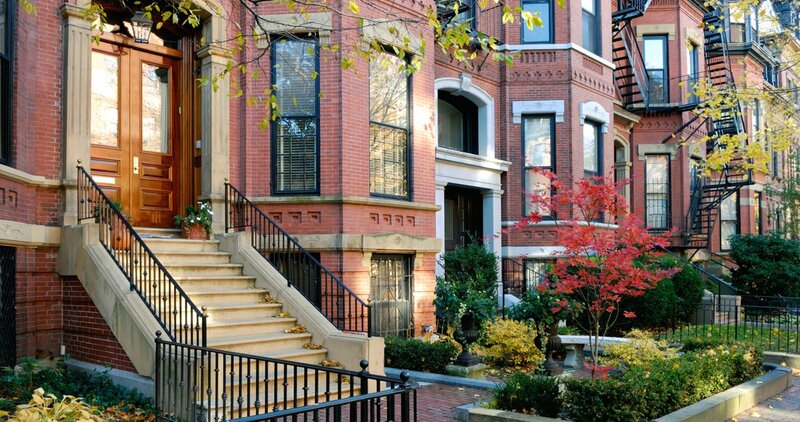 The median home price may be quite high, but there are ways to make this area your home without breaking the bank. We'll show you why the benefits of the homes for sale may far outweigh the price you pay to live here. Tell someone living around the area that you live in Potomac, and you'll probably receive an impressed whistle. With a variety of subdivisions like Round Hill with an average asking price of $6 million, this city is known for its huge country homes full of art fit for museums, complete with grounds housing stables and guest homes. The large colonial residences of Glen Meadows and Winterset sell for about $1.25 million, while the Merry Go Round Farms and Fawcett Farms homes sell for around $1.6 million. Even with the high prices of homes, real estate grew by 7% or so in 2015 which may make this a smart investment option on your part if you buy this year. Beyond the enormous Gothic mansions lies the townhomes of Park Potomac. A planned community with lots of charm, there's affordable living here with price in the 6 figures if you're looking for a little less isolation. There's a big difference between the homes out here, and the types of choices encourage diversity and the mixing of people and ideas. Chances are you already enjoy a high standard in your current neighborhood, and you're just looking for a different vibe or change of pace. Just one visit can quickly show you that you how much this village can improve your overall quality of life. Your neighbors are some of the wealthiest people in the nation, and the standards here are impeccable. An area is defined by the people within it, and the residents here won't settle for second best. They realize that in order to make a great city, it's necessary to expend the effort to make the improvements everywhere. Homes, businesses, parks, roads and government buildings are all immaculately kept and cared for. Your children won't just hear adults preaching to them about the value of hard work and respecting the land and community: they'll actually see it in action all around them, day in and day out. Caring for property and taking the time out to do a job right is an invaluable way to instill pride in your surroundings. The people of Potomac have every intention of putting that philosophy into practice every day. When you buy one of the homes for sale in 20854, you know you're trading your hard-earned money for a happier lifestyle. Frank Lloyd Wright is just one of the impressive architects who chose to supply their innovative visions to the people of Potomac. If you've ever heard an older person talk about taking Sunday drives in the country, you can bet it was the homes they drove past that made the trip worth it. Driveways longer than normal streets, gorgeous estates with acres of greenspace and impressive architectural styles all await you in Potomac. Craftsmanship matters here and some of the homes date back to the early 1900s. These residences are so massive they have their own names, and often their own tennis courts, theater rooms and elevators. These homes were generally made for those with a full staff to take care of the interior and the grounds, and include enough bedrooms and bathrooms for everyone. Even if you won't be choosing one of the estates as your new home, it boosts real estate prices for everyone and adds to the special charm you'll find here. Education is the cornerstone of a healthy and productive life, and the Potomac's public high school Winston Churchill High took second place in Maryland according to US News and World Report, while nearby Walt Whitman High in Bethesda took first place. Wootton High School in Rockville is a public school named in the top 100 in the country according the Washington Post. If you're looking for private schools, there's Bullis High School which is known for being one of the best prep academies in the country. There's also the German School in DC. Aptly named, it gives your children an education according to German standards, which can be somewhat more stringent than our own. These schools feed directly into the top colleges, and give your child their best starting chance in life. Potomac and the surrounding areas care about their children, and they show it by hiring the best of the best to mentor and educate its youth. If you're moving from far away, you need to find a place where you're likely to fit in with the people of the area. The acceptance has to work both ways, and it can be hard to know if your values will match up when you're venturing into the unknown. The readjustment time will be helped immeasurably if you find people you can trust. The people here are not always striving to improve their surroundings, but also to improve themselves and the people they care about. If you're a person who wants to challenge yourself to be better every day, then you're likely to easily find others who have the same goals. Small personal accomplishments have been shown to be the highest indicator of what makes people happy, and having someone there who will support this mission can make a dramatic improvement in your life. Exact numbers vary depending on your sources, but around 3/4 of the population is married with about half of those couples having children. It should be clear by now that this is definitely not a party town, but the sense of family here discourages crime and encourages inhabitants to do the right thing. Generally the bigger violations in Potomac are theft and property damage, with violence ranking low on the list of offenses. The state of Maryland has seen some rough numbers in the big city of Baltimore in terms of high crime rates, but you're mainly insulated from these types of dangers. The peace of mind this gives parents is just one more reason this area is a popular place to be. It can be inspiring to live in a place that's so entrenched in our nation's history. The East Coast cities have played such a large role in how we got to where we are. In 1741, this land was merely a grant from a Lord which then turned into a crossroads for travelers before finally receiving its current name in 1881. It was originally a rural place until the start of the 1900s when more homes were built and the village eventually became the suburb it is today. You can still see restored versions of the older buildings, although many of the original structures were torn down over the years. Living here and having access to Washington DC whenever you want, you have a chance to experience our nation in ways most people can only dream of doing. Understanding the past can make you feel closer to your country and help you prepare for the future. Whether you're in politics or not, this is a place to experience growth in your personal ability to effect change in your professional life and the world. You'll have plenty of opportunity here to make connections and grow in your career. The average income here is heads and shoulders above the state average of Maryland, with the 2010 census putting the number at just under $163,000 a year. If you're motivated to reach a higher rung on the ladder than where you are now, Potomac may just give you that extra boost you've been hoping for. The people living here don't dismiss talent or drive, and you may very well find your dream job by making friends and networking with the influential people who live here. There's nothing better than feeling like you have a sense of control over what happens in your career, and Potomac can help you feel empowered about where your future is headed for both yourself and your family. The homes and the neighborhoods here do tend to elicit a certain feeling of seclusion, as the town stays somewhat tucked away on its own. The traffic is really not a huge issue in everyday life, even when you need to get to DC. Without congestion, you can expect the drive to take about 29 minutes and the average commute time here is about 35 minutes. Most professionals living here do work in our nation's capital, and find it blissful to return to a quiet and peaceful city. They can collect their thoughts at the end of their busy workday, have a glass of wine and get ready for whatever the next day will bring. The average square footage of a home here is about 6,000 which makes it easy to relax in your own home. With the space to move and breathe for large and small families alike, there's less stress and tension for everyone. Living so close to the capital puts you in arm's reach of any cultural activity or type of cuisine you could ever want, but the amenities right in town are still nothing to sneeze at. Established businesses have made their mark on the community and have their regulars, while younger people have their own ideas about what the town could use. From boutique clothing shops to specialty food stores to modern restaurants, Potomac's social areas get a lot of foot traffic. It's a smaller place in general, so you will have to remember that the nature of the location itself will limit your amount of choices. However, it also means you won't have to circle the parking lot four times to find a space or be stuck trying to make a left onto a busy street. Truly living the finer life in Potomac means being a part of a group who shares your interests . Enjoy Falls Road Golf, a lush course with stunning views and excellent staff. They're happy to take you from beginner to expert with tips, apparel and equipment on hand for the new golfer. If you're an old pro, then you'll definitely get a run for your money with the regulars here. Strike up a friendly challenge and enjoy the game! There's also a swim and tennis club called Country Glen where children and adults can take classes to improve their skills. Instructors have high levels of expectation here which brings out the best in those they teach. 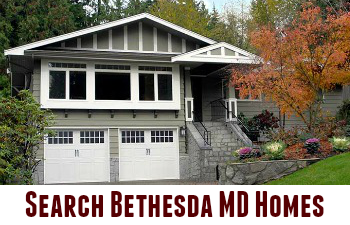 You can find several more exclusive establishments in nearby Bethesda, such as the Congressional Country. This majestic property with its manicured grounds once gave names like Rockefeller, Hearst and Chrysler a place to relax at the end of the day. If you're thinking Potomac might be for you, then contact Marc Cormier and Tania Ivey today. Real estate experts and best-selling authors for their participation in the book “Cracking the Real Estate Code.” They authored the chapter "Price Isn’t Everything" where they shared their secrets about getting your dream home through strategic moves within the market. Let them show you how far your money can go when you choose them as your team. They'll do everything possible to get you into one of the homes for sale in 20854, and look forward to finding you the property you want.